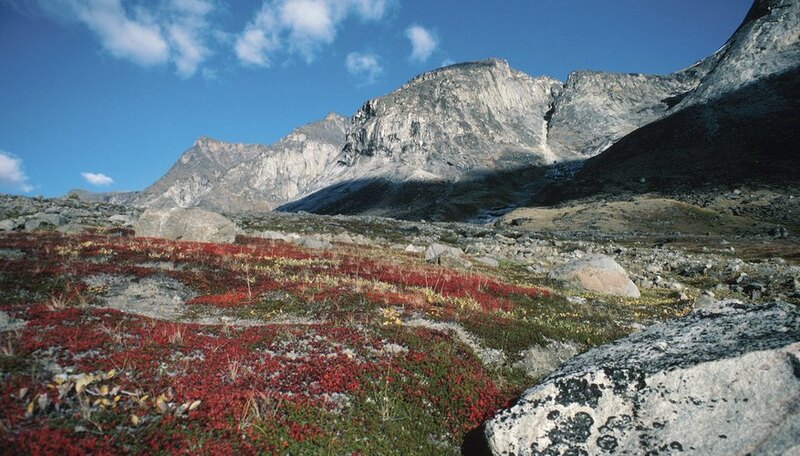 The alpine tundra biome occurs on rocky mountaintops throughout the world. With year-round cold temperatures, a short growing season and high exposure to ultraviolet radiation, these high-altitude ecosystems are characterized by limited biodiversity. Biotic factors in the alpine tundra include a few species of cold-adapted animals, birds and insects, and small plants which flourish in a short growing season. The alpine tundra is the highest life zone in the world, found above the tree zone at altitudes above 10,000 feet in mountain ranges worldwide, such as the Sierras, Cascades, Pyrenees, Himalayas and Alps. The alpine tundra has only two seasons: a lengthy, cold winter and a brief summer during which nighttime temperatures still remain below freezing. At these altitudes, the sun's ultraviolet radiation is high and the air is thin, making the tundra inhospitable to all but a few well-adapted species of animal and plant life. Animal populations in the alpine tundra fluctuate considerably with the seasons. During the brief growing season, elk migrate to the tundra, while bighorn sheep and mountain goats live there year-round. Marmot and pika hibernate through the long winters in complex burrows deep in the earth. Some low-flying or ground-dwelling bird species, such as the ptarmigan and grouse, also occur in the alpine tundra, but diversity in the bird population is limited due to cold temperatures and lack of nesting sites. Since the alpine tundra biome occurs above the treeline, plant life includes small shrubs, grasses and leafy plants such as alpine bluegrass. During the brief summer growing season between June and the end of August, the ground may be carpeted with wildflowers. The alpine tundra also hosts some varieties of lichen and mosses, which flourish on rocks and in crevices due to limited drainage. The alpine tundra hosts numerous species of cold-adapted mushrooms. Wildflower and plant growth in the tundra's short summer feed insects such as grasshoppers, beetles and even some butterflies and bumblebees, but harsh temperatures make the region inhospitable to most insect species. Due to cold temperatures and limited water and food supplies, no reptile or amphibian species occur in the alpine tundra. Jean, Carla. "The Biotic Factors for Alpine Tundra." Sciencing, https://sciencing.com/biotic-factors-alpine-tundra-10031594.html. 24 April 2017.